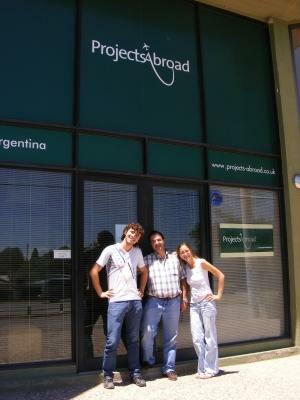 Some people ask us if Projects Abroad is a scam or a fraud. We know that you can’t just take our word for it, so we've written this page to give you some sensible ways to see for yourself that Projects Abroad is not a hoax. If you live in the Greater Toronto area, come in for an office visit! Our staff members have been abroad themselves, often as Projects Abroad volunteers, and they have the stories and photos to prove it. We can sit down with you to go over our programs and help pick out the right one for you. If you can’t make it to Toronto, you can join one of our online webinars. These are slideshow presentations with a voiceover description, given live by a staff member in our US office. After the presentation, we always leave ample time for an interactive question-and-answer session. You can log in through our website from anywhere in the world – it’s free and all you need is broadband internet! 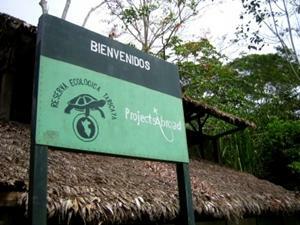 Projects Abroad belongs to two premier standards organizations in the field of international volunteering. Based in the US and UK, these organizations are managed by a board of directors made up of experts from a wide variety of programs. While Projects Abroad staff members are sometimes invited to sit on these boards, both organizations are completely independent. You can check out the website for each of these groups, and review the criteria that we must meet in order to be members. The International Volunteer Programs Association. The International Volunteer Programs Association (IVPA) is an association of non-governmental organizations based in the US and involved in international volunteer work or internship exchanges. Membership in the IVPA is a distinguished mark of excellence for responsibility in the field as members are expected to uphold the IVPA's Principles and Practices as guidelines for good programming as well as meet stringent membership criteria. 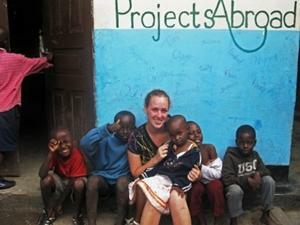 The Alumni Stories section of our website includes a long list of personal stories written by our previous volunteers. There are usually photos included, too. Aside from being an amazing way to get a peek into the daily life of our volunteers, they are also an obvious substantiation of our program. This collection of photos and text could not possibly be created by any scam artist. The wide range of writing styles, deeply intimate details of daily life and wildly differing senses of humor shown here are a testament to the size and rich diversity of the Projects Abroad community. Recently, we’ve released a blogging platform for our volunteers called MyTripBlog. Here volunteers record their thoughts and stories for their families to read back home. Our staff also share inspirational stories and announce upcoming social activities in-country. It's an amazing window into what’s going on today in any of our destinations around the world. If you’re on Facebook, just go to our Projects Abroad Fan Page and check out the discussion going on there between our current, past and upcoming volunteers. Projects Abroad has been mentioned in numerous prominent print and broadcast news outlets around the world. You can see these mentions on our Press Page.